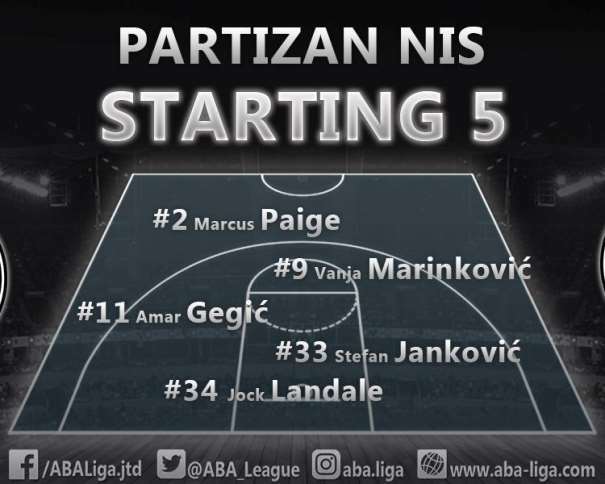 In the Round 7 of the ABA League, Partizan managed to score their 4th victory by beating Cibona with a result of 86 – 67. After the game, Marko Ljubičić (Cibona PG from Serbia), Amar Gegić (PG – SG) and Aleksej Nikolić (PG), from Partizan, were sharing their impressions after the regional league classic. 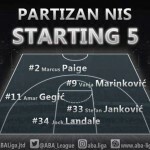 Ljubičić mentioned that they were expecting a tough game and they knew that it is not easy to win against the Black and Whites in “Pionir” (aka “Aleksandar Nikolić” Sports Hall). “What to say. We knew what we were facing, we knew the atmosphere here in Pionir but despite it all we had an excellent game opening. In one moment Partizan didn’t know what to do at all, but again with the help of their crowd and with some opened shots we allowed they got back in the match. When they came back, we knew it would be hard to score the victory. Now we have to move forward, to focus on some other games. We came here to show that we are playing decent basketball and, in my opinion, this season Cibona is a totally different squad that it was in the previous years”. Maybe the key factor is the leak of reaction when the home team was trying to turn the game around. “We didn’t react on time, when Partizan was getting close, they changed defense, they rotated players who was guarding us, and it was a surprise to our team, and we didn’t react properly. But we can learn from it. We came back in the third quarter and we showed life signs in that quarter but we lost at the end. Now, when I am looking back in the game, I know we should change a lot of things. We were nervous and insecure when they came back. But now we can learn something from this game. There are a lot of tactical things that we can implement in the future”, said Ljubičić who knew that his team needs to be focused on one game at a time. “Our goals in this season is to focus on one game at a time. You see for yourselves that we started with 3 losses and then managed to win 3 games in a raw. 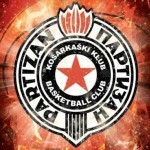 Now, we lost again against Partizan but we are moving forward. We have a positive atmosphere in the team and I think that is very important for basketball. 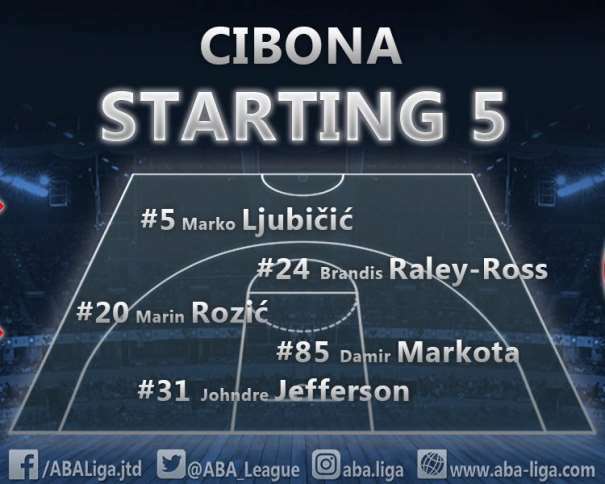 And this is also important for ABA league, to have a good Cibona in it”, finished the guard from Cibona. Youngster from Partizan, Amar Gegić, was really satisfied with the win even though in some moments his team lost their focus. “We opened this game very lousy. During the match we were finding our game. When we were playing defense much better, then we were playing in offense better. We found our rhythm and, at the end, we scored that win. We played in series, but we don’t have any excuse about our game. We can’t use excuses. Yes, it is well known to all that we are a young team, and during the season we have to grow. I hope that we will be more focused in the future games. We will be more experienced after every game and I think we won’t play like we play now at the end of the season”. Now, with Andrea Trinchieri on board, the young Partizan guard had a much important role in the squad. “I think I managed to adapt to this squad. I don’t see any important difference than when I first came here except that now I have more responsibilities. The role is bigger so I have to give much more. I am happy with my role and I hope that we all will adapt. The Coach wants us to play defense, to show energy during the games but also he wants us to be calm. But defense is the number one. Everything comes from defense. It is important to help the team in any possible way, the coach is telling us how, but he also wants us to figure by ourselves how to help the team”. One of the main reasons why Partizan turned the game around was the excellent defense, especially in the last quarter where the home players didn’t allow Cibona to get back for the third time in the match. “Sure, good defense helped us to score the victory. As I mentioned before, we played lousy defense in the beginning of the game but till the end we managed to do what the coach wanted us to do”, said Amar Gegić. One of the players who were coached before by Andrea Trichieri is the Slovenian guard Aleksej Nikolić. And his experience will help his teammates to adapt to the new coach. 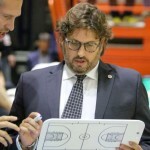 “I was the only one who was working with the coach before, in Bamberg, and I know what he is expecting from the players. But now is a different situation, in Germany, the team was experienced, and here is a young team, that will grow during the season. I know the expectation of the coach, and I am trying to help my teammates to adapt as soon as possible. And I think they are adapting”, said Nikolić about the coach.